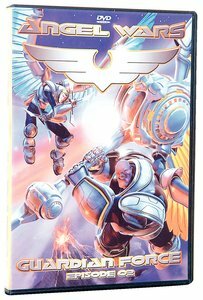 The sequel in the acclaimed animated series, Angel Wars Guardian Force 2, draws us deeper into the continuing saga of our six heroic angels. With each of the Guardians attending to their assignments, Morg moves quickly to his hideaway base where he prepares to unleash a devastating blow against humankind. Drawn together by providence, the Guardian Force must uncover the secrets of their old foe, and stop him before the earth is forever changed. Twice the action and twice the adventure, Guardian Force 2 is sure to lead audiences to the edge of their seats. About "Guardian Force (Volume 2) (Angel Wars Dvd Series)"